The Jack Russell Terrier is first and foremost a hunting dog, bred to enter underground earths and locate quarry. No matter what your interest in the Jack Russell, whether it be as solely as a pet and companion, to do trials, or to work in the field, it is essential that you learn about and understand this important aspect of the terrier. It is what makes this terrier the unique character that it is. If your terrier is strictly a pet/companion, you must understand that his hunting instincts are strong, and you need to be prepared to handle the possibility that he may go-to-ground unexpectedly, or run off to follow his nose in pursuit of quarry. This is instinctive and it is strongly bred into this dog -- you cannot change it, and at times it can be difficult to control. You must always be aware of that instinct, and be prepared should you one day find yourself with a terrier in the ground. If you are interested in doing fieldwork with your terrier, it is best to try and locate an experienced person in your area who can take you out in the field and teach you a bit about earthwork before trying it on your own. 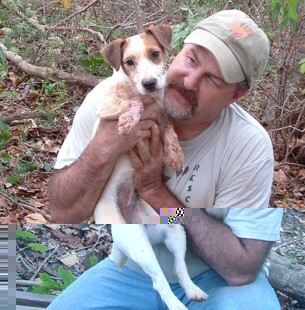 Before beginning any type of field work, the most important thing you can do for your terrier is to purchase an electronic terrier finder and collar. These items are manufactured by the DEBEN company. 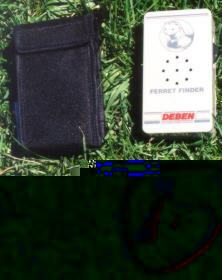 DEBEN is located in England, and the only manufacturer of terrier finder/collars at this time (to our knowledge). Remember, if you work your dog in the field, a collar and locator box are a MUST. It is the best money you will ever spend on your dog. 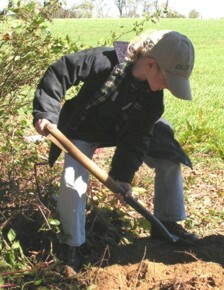 The collar contains two small batteries, and the box is then used to determine the depth and location of the terrier underground, up to 15 feet. They are NOT tracking collars for above ground. See the following article entitled "Bleepers...." it was written by a friend of ours many years ago, and is an excellent description. They may be purchased from the Jack Russell Terrier Club; call 410-561-3655, or see their web site at www.terrier.com.